Countdown to Winter Break with Problem of the Day! I hope all of you had a super Thanksgiving break. I enjoyed traveling to northern Michigan and cooking a feast for my family! It is hard to believe that our winter break is only three weeks away! I know my third graders will be tough to wrangle for the next few weeks, so I try to keep them busy with some fun and novel activities. 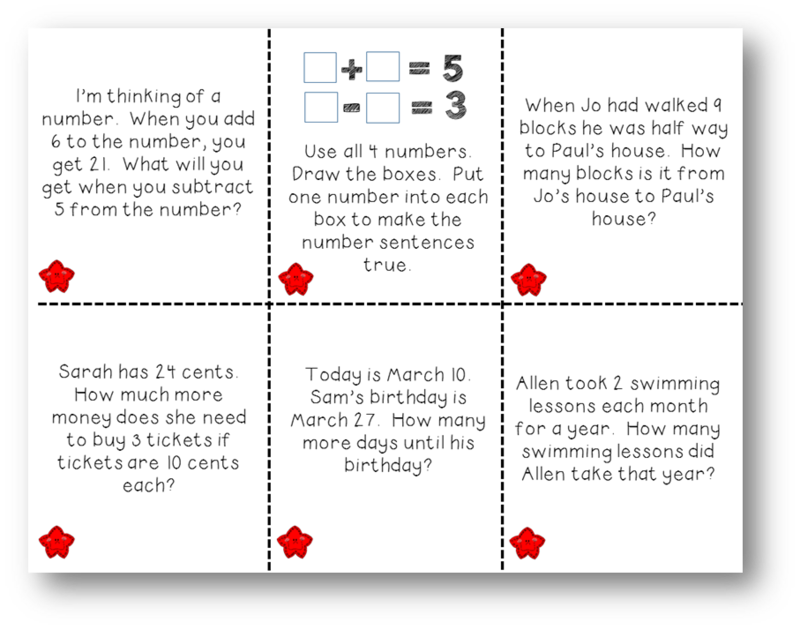 This year I have decided to sharpen their math problem solving skills with an advent-style calendar to countdown the last days until our winter break. Then I placed three differentiated math problems inside of each of the envelopes. Red Star problems are easy, Yellow Stars are medium and the Green Stars are challenging problems. 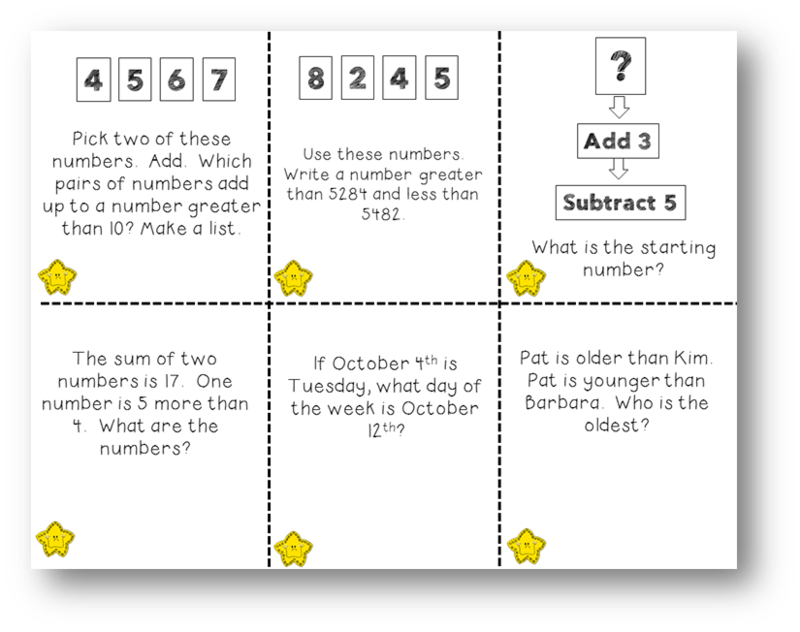 I will let students choose which one they will solve (they can do all three if they choose!). Here are samples of the three types of problems. Then I placed the envelopes into a pocket chart! After they solve the problems, we will go over the answers (and the strategies for solving them) as a whole class. Then students will color in the corresponding snowball on the back of their booklet to indicate that they have completed that problem! On the class countdown calendar, we will turn over that day's problem to indicate that we have already solved it, also knowing that we are one day closer to our winter break! 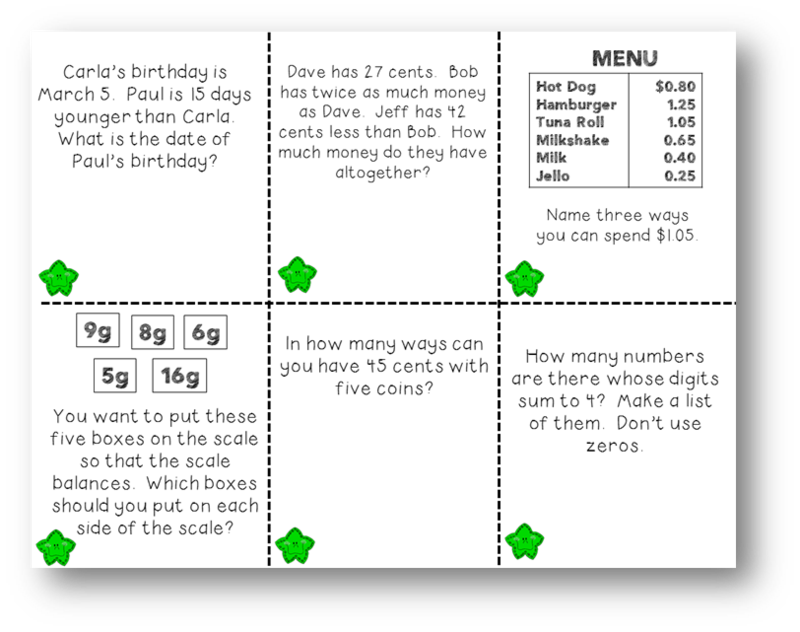 Fun idea...I love the way the students can choose the level of problem. (Because who wouldn't want to tackle the "hardest" ones?) You are so clever! !